At Arabplast 2015 Engel Austria, together with Uni-Cap and other partners, will present a bottle cap production system for the packaging industry. An all-electric Engel e-cap injection molding machine will be producing 1881-type caps at the show. Uni-Cap, based in Dubai, United Arab Emirates (UAE), is one of the largest cap manufacturers in the Gulf region. 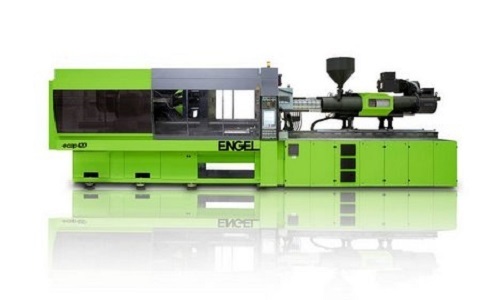 It has been producing with Engel e-cap machines since 2009. “The bottlers expect to receive absolutely hygienic products from us. With all-electric machines, we can definitely rule out any contamination with hydraulic oil. Thus, the usage of hydraulic oil is superfluous and cooling capacity is saved at the same time, the carbon footprint can be decreased significantly,” said Bassam Hajjar, CEO of Uni-Cap. While the one-piece 1881 cap for carbonated soft drinks has already become established in most parts of the world, the Gulf Cooperation Council (GCC) countries have long remained the exception. This is due to the extreme temperature difference of more than 50°C in the region. According to Engel, Uni-Cap will be the first manufacturer in the region to produce this type of cap. They plan to achieve an annual capacity of 300 million caps with the Engel e-cap machine that will be presented at the Arabplast. It is above all the melt flow rate of as low as 1.5g/10min of the poor-flow types of high density polyethylene (HDPE) required to achieve the specified cap characteristics. The direct drive unit of Engel e-cap helps to achieve precision and the required performance needed. Its increased ejection and clamping force permit a short cycle time, Engel explained. “In comparison to hydraulic machines, we need 50% less resources for cooling,” said Mr Hajjar. During the trade show, a system from IMDvista of Switzerland for the fully automatic 100% quality control will be employed for cap inspection.